I find it nearly impossible to decide which 1/3rd of the course I like the most. I think it is safe to say the entire course is amazing, start to finish. 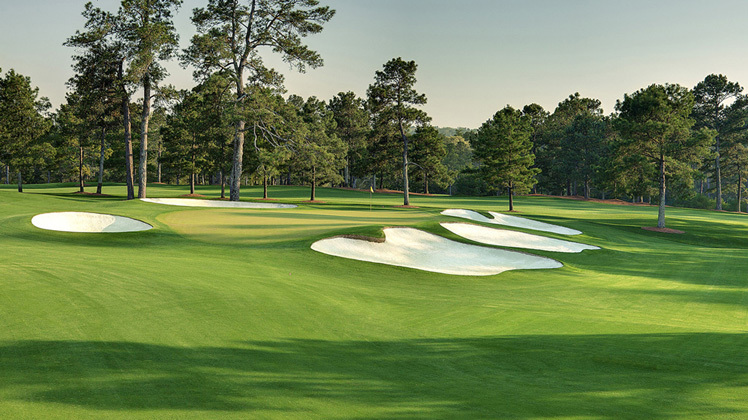 The seventh hole is the type of hole that I drool over. Long. Narrow. Elevated green. Heavily protected green. While I doubt I’d be able to finish the hole with anything better than a bogey, I still love the challenge that this hole presents. Moving the tee back in 2002, it forced many players to go ahead and use their driver. Such a simple hole that can cause so many problems for the best players in the world. It just goes to show that you don’t need to be next to an ocean, hitting onto an island green, or even stretching a par four to 500 yards to make a hole difficult, even with today’s tour pros and amazing technology. 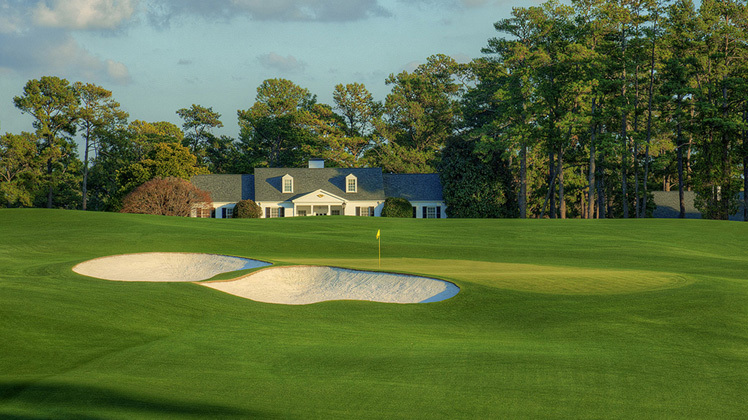 The 8th hole is a par five that requires a precise tee shot to stay out of the fairway bunkers that are down the right side. 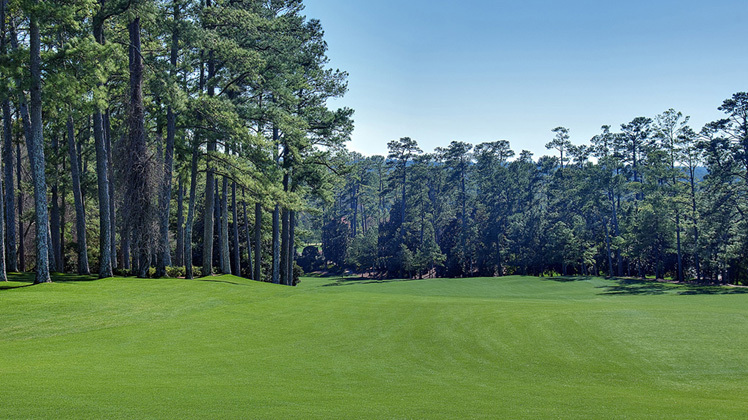 Reaching this uphill par five in two is difficult, partially because of the mounds surrounding the green. Don’t let this green fool you because it lacks greenside bunkers. It is plenty difficult without them, even though the hole is a definite birdie opportunity. The finishing hole on the front side is a solid par four, that, in my opinion, lacks a little something in the looks department. While still an amazing hole, I always thought this hole needed a little something, particularly around the green. Maybe trees, maybe a creek or small pond, or maybe just an additional greenside bunker. Either way, however, it is definitely not an ugly hole. The ugliness only comes when players have to deal with the severely sloped green. 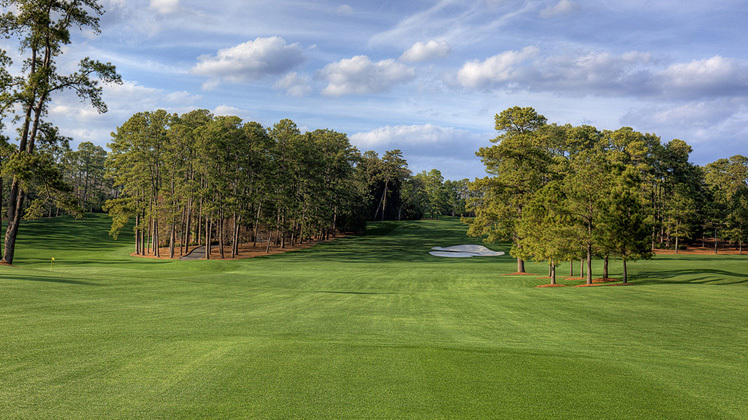 The back nine starts out with an amazing par four that is very long at 495 yards. 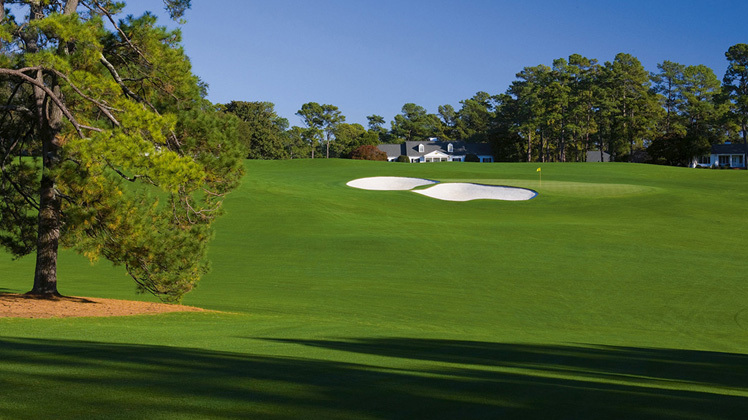 It is historically the toughest hole on the course. 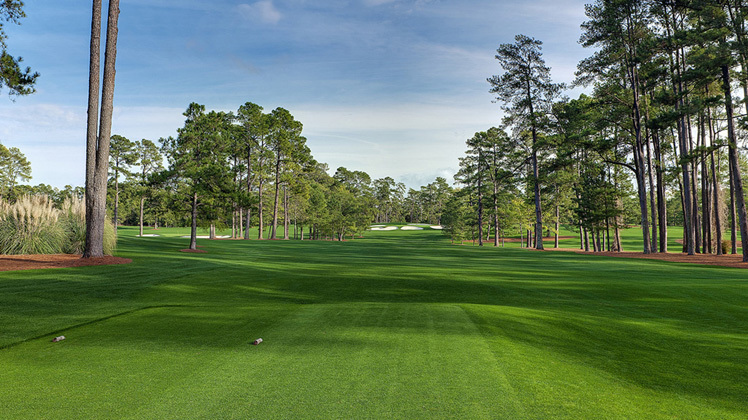 Playing a hard right to left shot off the tee will help players gain some distance to shorten this beast of a hole. 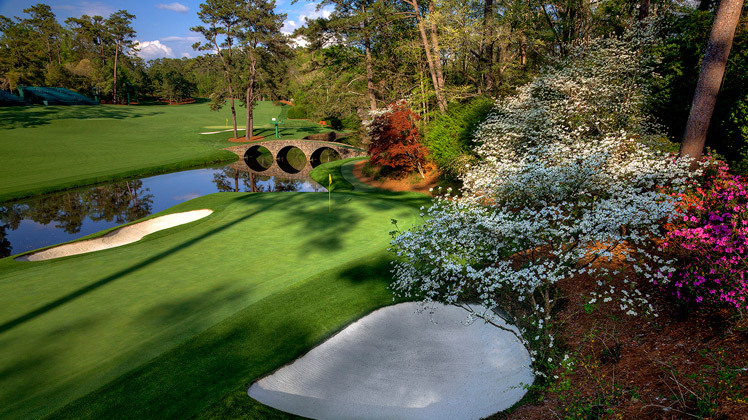 I’m a huge fan of this hole when watching the Masters on TV. 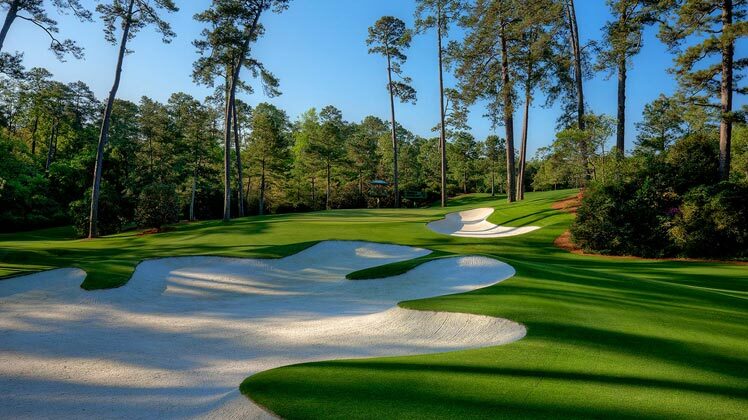 It always looks amazing, especially when they have an angle that really shows the elevation changes and the beautiful fairway bunkers. 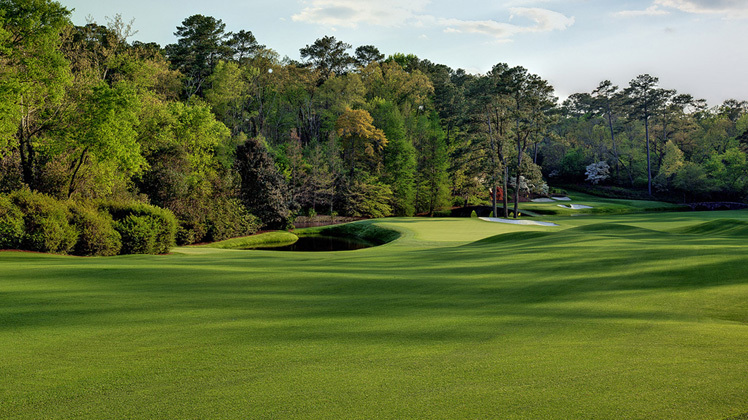 The eleventh hole has a fantastic name and is the start of Amen Corner. The hole got dramatically harder in recent years when they lengthened it. The greenside pond comes into play more now that the hole is over 500 yards. A back hole location only makes matters worse. Expect many bogeys or worse on #11 this year. Okay, here we go. 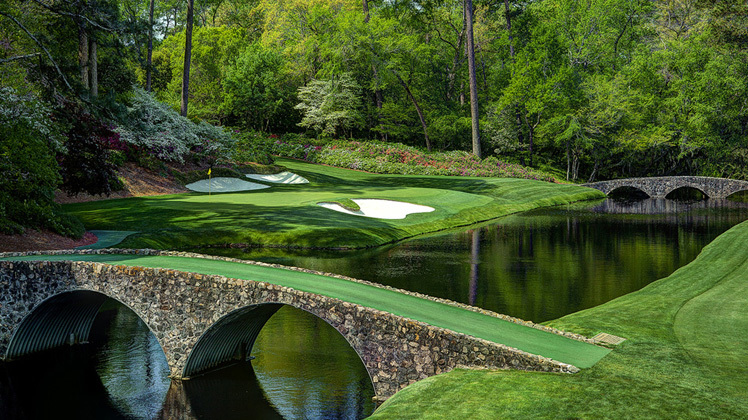 When I hear “Augusta National” or “The Masters”, THIS is the hole I think of. An absolutely stunning hole. Short par three over water. The wind is almost always swirling here so club selection is crucial. 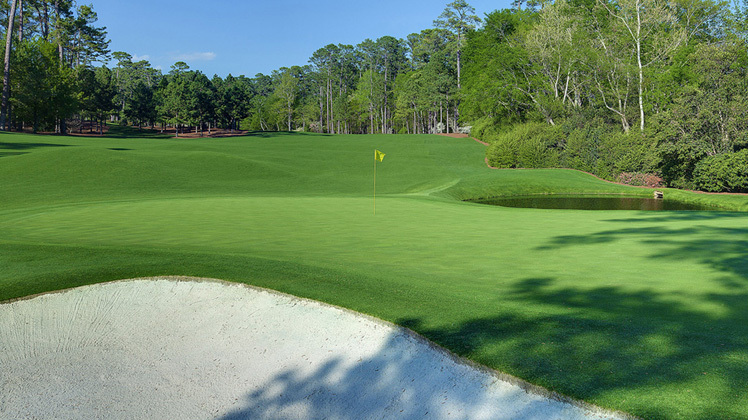 The green is narrow and is also protected by bunkers. 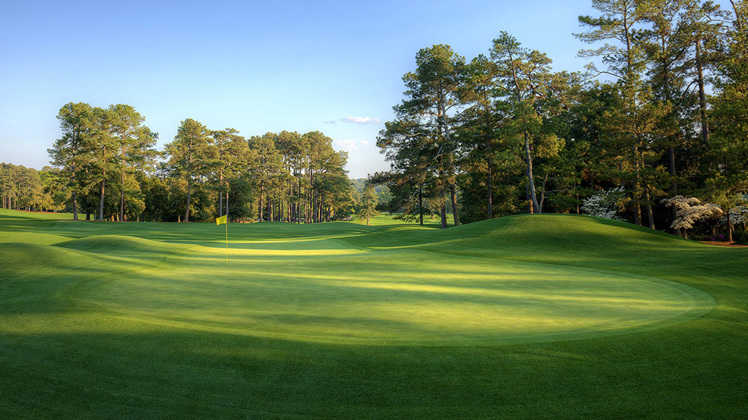 This hole will punish any players who get distracted by its beauty. The only “easy” part about it is the players will have a short or mid-iron in their hand.